Last week in this column, I discussed the process that led to record-breaking prices for fancy color diamonds. Today, I want to discuss this process for white diamonds, which also have the potential to perform well. Natural white diamonds, just like natural fancy color diamonds, should benefit from the economy of rarity. The economy of rarity generates demand, and demand creates resale value. In order for the same trends witnessed recently with fancy color diamonds to carry across to white diamonds, transaction prices must be made known and available to all. These prices must be accompanied by information on irregularities. When this happens, white diamonds will evolve from being components in jewelry to constituting an asset class with resale value. Fancy color diamonds have recently enjoyed great exposure from auction houses such as Sotheby’s and Christie’s. This boon is not limited to the publicity of exposing diamonds to the media, nor bringing the right buyers to the auctions. The auction houses also do an excellent job at delivering important information about each and every diamond offered for sale. The auction houses deserve immense credit for the tremendous work they have undertaken in this regard. They do the same for artwork as well. Nonetheless, we need to see this kind of effort expand far beyond the activities of auction houses. Just as the art world actively promotes art through education, art history, biographical information on artists, information on specific works and the evolution of art, so too should the diamond community play a role in promoting diamonds as an asset class. Among the most urgent first steps to be taken is to disassociate high-end diamonds from their perception as a sentimental purchase, as well as the idea that diamonds are only components in jewelry. While many of the record-breaking fancy color diamonds were set in some sort of jewelry, often rings, no one considered these items jewelry. The rings themselves were very minimalistic, serving only for presentation. The truth is that emotion does not sell top-quality diamonds! 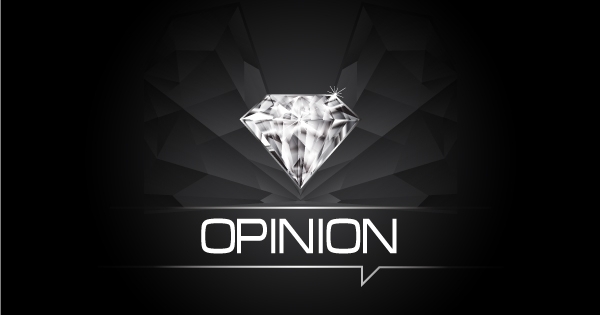 In order to sell top-quality white diamonds, even 1-carat diamonds, we are in need of a new paradigm – one that positions resale value in the center. Diamonds’ resale value derives from their rarity and desirability. Interest among potential buyers in diamonds is the same as what they express for stocks, rare automobiles and artworks: they want to diversify, they want to know they can buy with confidence, and they need high-quality, transparent and detailed information about the item. When we succeed in developing such a paradigm for diamonds, we will see more purchases of top-quality white stones. This in turn will establish the basis for greater trade volumes, knowledge, availability and venues for trading confidently. Once the press is exposed to these developments, it will respond with greater coverage and information and discuss diamonds in terms other than those of jewelry and emotion. This will widen the circle of knowledge and interest in white diamonds – just as it exists for fancy color diamonds. But why stop there? These purchases involve another crucial element – longevity. When the Blue Moon was purchased in November, the buyer renamed it the Blue Moon of Josephine after his daughter. In this buyer’s view, this exceptional item belonged to the next generation. Truth be told, several incredible white diamonds have been sold over the past few years. Large, top color and clarity diamonds such as a 100-carat D IF emerald shape diamond that sold for $21.2 million; a D flawless 118.28-carat type IIa oval-shaped diamond sold at Sotheby’s for $30.6 million; and the pear-shaped D flawless 101.73-carat Winston’s Legacy that sold for more than $26.7 million at Christie’s. These are just a few examples of what is possible. It is our collective responsibility as the diamond community to promote, expand and improve awareness about the resale value of diamonds, in order to see this phenomenon grow. In the past year, a number of exceptionally large, white and clear diamonds were found by Lucapa in Angola, Lucara in Botswana and most recently by ALROSA in Russia. Each of these finds has the great potential to become a record-breaking polished white diamond, which generate further interest and value. This is the process we saw unfold after the Blue Moon sold in November last year, in which sales and prices of blue diamonds skyrocketed over the following six months. How do we make this happen? Education. The scale of change is not to be taken lightly. The work done by auction houses is an excellent place to start, but they shouldn't be relied on to be the sole marketing or promotion channel for the diamond industry. There are many diamonds that are not +30-carat D FL that are fit for wealth preservation that can and perhaps should be offered through other channels. These include, 5-, 2- and even 1-carat, D color, IF or better diamonds with no fluorescence, and top makes. If you look closely at auction results you will find that they are filled with such diamonds. The problem is these smaller stones get very little attention from the media and are outshined by top selling items. Nevertheless, they are still excellent items with resale value – a notion proved by their consistent success in being sold at these auctions. We need to start thinking of new ways to educate, promote and broadcast information on diamonds, including prices, irregularities, and historic price trends. We also need new ways to buy and sell diamonds. This calls for an initiative to encompass all of these needs, such as a platform where traders, financial firms, investment houses, home wealth management firms and even private individuals could learn everything they need to know about a given diamond – and then act on that information. This vision is not far-fetched. Such a platform will provide a supportive environment for white and fancy color diamonds. It will provide background information on the components of price, as well as specific information for every single diamond offered on the trading platform, including any diamond that someone may consider selling – even outside the platform. All one will need to know are the essentials that appear in every grading report – the 4Cs and irregularities. This initiative will tell the story of diamonds – but not the romantic, sentimental version (which is okay, but suited for other kinds of diamonds). It will tell the story of diamonds as a unique and rare creation from the belly of the Earth, it will tell of the extreme difficulty in locating them, the economic hardship and risk of exploring and mining them, and the challenges and expertise needed to polish them. That is a story that supports diamonds that have a resale value. I have the deepest respect for the hard work of the past – the efforts that promoted diamonds from the 1930s until the end of the last decade. Today, we are in need of a new strategy that takes into account the rapid changes transforming our society. We live in the information age – an era where all have unfettered access to a plethora of data. We need to fit our message to address those who are coming of age in this unique time. Today’s buyers are spending on experiences, not objects. Therefore, we need to show them, prove even, that diamonds have a resale value. When they have a resale value, they are not an expenditure, they are an asset! There is another shift transforming the face of society that we must address. There used to be very few millionaires. Those who had money tended to be exceptionally rich. For such people, buying an exceptional diamond was not financially difficult. On the contrary, it was a symbol of effortless wealth. This picture has changed. Today, a much larger proportion of people are wealthy, but most of them are not exceptionally rich. Therefore, even if the pool of buyers seems larger theoretically, in practice this is not necessarily the case. Moreover, many are not looking to flaunt their financial status. This group of wealthy people need to be shown that buying a diamond is not an expense, but an asset. It could be argued that this is the most important place to make our case. That is, among people of means who made their own money, and who carefully consider how to use it. If such people understand the rarity of diamonds alongside price trends, they too may consider diamonds as part of their diversification. Another question requiring attention is how to increase the general public’s exposure to transactions of high-end white diamonds that do take place. Most transactions take place in the wholesale market. In addition, many individuals are starting to understand the resale value of diamonds – call them early adopters. These early adopters do not buy from retailers so as to avoid markups. Instead they buy privately from the auction houses (not at the auction itself), at trade fairs (even though these shows are intended for traders), and they buy from wholesalers in the diamond trading centers. In light of this situation, the wider public is not exposed to most diamond transactions and remains unaware of this large volume of business, estimated in the billions of dollars in the recent past alone. If more were aware, some may have changed their minds about white diamonds. They would see that these diamonds are purchased as an asset, and done so knowledgably and prudently for the purpose of wealth preservation. If we are wise enough to create the right environment, we can turn around our fate by bringing a new, wider customer base into the fold. I believe this to be the future of rare, top quality, white diamonds. It is unfortunate that so many 20-, 50- and even 100-carat white diamonds are sold while hardly anyone outside the immediate circle of those involved know about it. Making such transactions public would establish new price standards for these goods, to the benefit of all. Clearly, we need a way to make this information see the light of day. The general public shouldn’t need to rely on high benchmark prices or on supposed experts to advise them on prices. We need to form a database of diamond sales. It should include every top diamond sold, especially if it had no publicity. The entry should include the diamond’s shape, color, clarity, quality of work, GIA report number, all of its irregularities and the transaction price. We need to educate the public about the rareness of diamonds and the even greater rareness of high-end white diamonds. They need to know about transaction prices, irregularities and how these elements are connected. We need to change the story of diamonds from emotion and jewelry to resale value and assets. 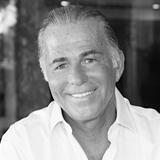 We must create a place where anyone can learn about every essential aspect of the diamonds they already own and those they are considering buying. We need to be ready. If the father of seven-year-old Josephine thinks of his children’s financial future and buys a diamond, we need to be prepare for others making the same choice. We need to be ready for exceptionally large diamonds as they make their way through the market; we need to have accurate, transparent and accessible information on hand, because this is how we will increase the number of potential buyers of such exceptional and large diamonds. If we do all this and do it right, we will widen the sales channel of diamonds, for holding and for resale. We will be able to sell (and buy) diamonds during any part of the economic cycle – rising or receding – and in that way secure our future.